A sculpture, carved in white limestone and measuring about 12 inches high and 10 inches wide, has been returned to Kabul Museum in Afghanistan by German Ambassador. It is believed to have been stolen from the museum during Afghan civil war. The sculpture is made up of eight figures with two rows of four figures standing abreast, one missing torso and others without noses. All the faces are shown turned to left possibly an audience for Buddha sitting on a throne. 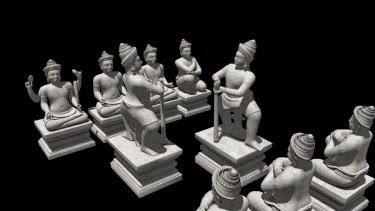 The sculpture is believed to be from 2nd century AD and from the Land of Gandhara. 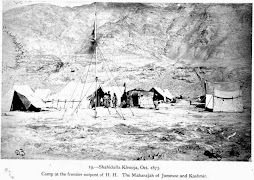 Gandhara is a mountainous region located below the meeting point of the Hindu Kush and Himalayan mountain ranges situated between India, Central and Western Asia, the geographical location of Gandhara was very favourable for the development and promotion of cultural interactions across these regions of the Old World. Gandharan country was rich in water resources and had dense forests in its various valleys. Gandhara was ruled by Chandragupta Maurya, (305 BC), King Ashoka (272 BC) and later by Kushan kings like Kanishka I and II. The Gandharn art is almost exclusively religious art devoted to Buddhism. In Gandhara the great stupas were erected as shrines for Buddha’s relics and these stupas were profusely ornamented with Relief panels of Buddhist images, scenes in the life of the Buddha, stories of the Buddha’s previous lives (Jataka stories), and ornamental work were attached to the stupa. 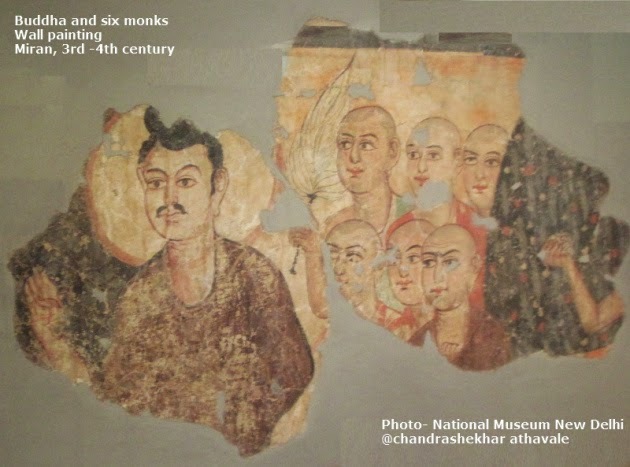 Gandhara art was very cosmopolitan and a likely product of cultural interactions because of invasions, immigration, emigration, diplomatic links, and trade communications between Greek, Roman, Byzantine,Persian, Central Asian, Chinese and Indian traditions and styles. 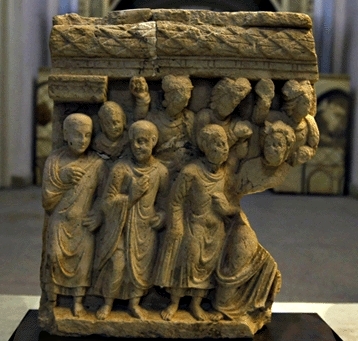 The sculpture recovered by the Kabul museum is a fine example of Gndhara art showing in minute details the facial expressions, attire and personal effects of the figures. 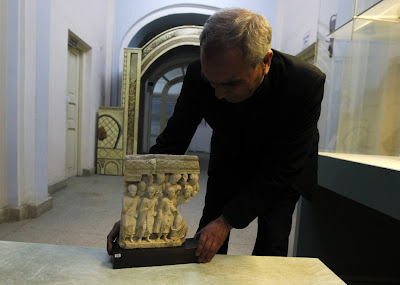 Kabul museum is believed to have lost 70% of its original collection or about 70000 pieces. 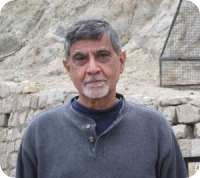 Afghanistan Government is making an effort to retrieve as many artifacts as possible.